At White Stone, we are committed to helping people connect in strong, Christ-focused relationships so that spiritual growth in their life can easily take place. 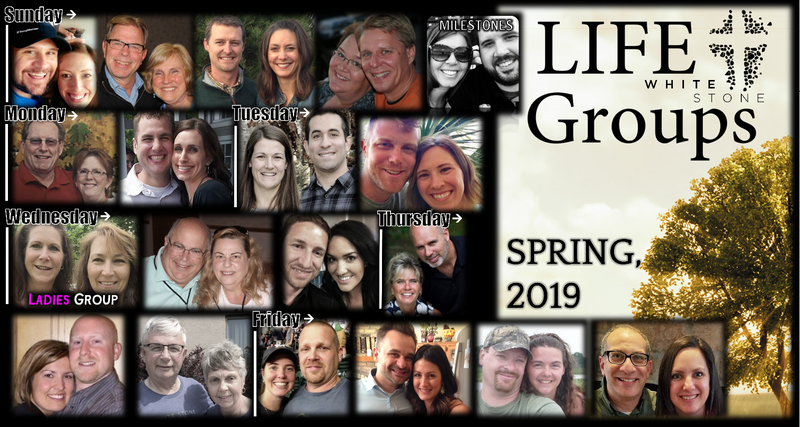 Therefore, we offer LIFE Groups that meet in various homes, focus on relationships, use a unique Bible-study format, and are shepherded by a couple committed to seeing each person in their group grow in their relationship with Christ. If you want to get involved in a Life Group or have any questions about them, please click here!